“I’ve Got My Own Album to Do” es el primer álbum solista de estudio de Ron Wood lanzado en 1974. Fue un proyecto de estrellas que lanzó por aparte a su papel como guitarrista de un (prácticamente) extinto The Faces. Un video para este domingo! Dan Hicks fue un cantautor estadounidense que se encargó de manera magistral el bluegrass, el country, el swing, el jazz entre otros estilos. Muchas de sus canciones surcan un estilo sutil de humor como “I scare myself” (Me asusto a mi mismo) o “How can I miss you when you won’t go away?” (¿Como puedo extrañarte si nunca te vas?). Miembro de la mítica agrupación “The Charlatans”, su trabajo se hizo conocido con Dan Hicks and his Hot Licks. Early Muses fue lanzado en 1998 y cuenta con grabaciones realizadas mayormente en 1967 mientras seguía en The Charlatans. El sonido es muy bueno, exceptuando el primer tema que es una grabación de un disco de 78 rpm que Dan realizó con su padre en 1953. ¡Que lo disfruten! 03-How Can I Miss You When You Won’t Go Away. 11-O’ Reilly At The Bar. 13-Shall I Ask An Elf?. 15-I’ve Got A Capo On My Brain. Henry Saint Clair Fredericks, mas conocido como Taj Mahal había estado dando vueltas en la escena musical entre 1964 y 1968 con una banda junto a Ry Cooder llamada The Rising Sons grabando un álbum para Columbia Records que vería la luz en la década de 1990 recién. 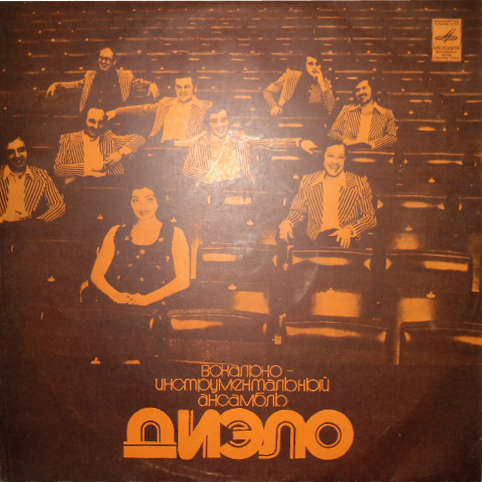 Llegado el momento tomo su rumbo solista, quedándose en Columbia Records y lanzando su primer disco homónimo en 1968. Taj, que se iría convirtiendo en un multi instrumentista, lanzaría todo su arsenal en esta primera placa con una serie de versiones tradicionales que se convertirían en clásicas como “Leaving Trunk”, “Statesboro Blues” o “Dust my broom”. Don Van Vliet (a.k.a Captain Beefheart), llevaba un par de años a los tumbos. Desde el lanzamiento de Unconditionally Guaranteed se venía en picada, la Magic Band se va cansada de los malos tratos dando lugar a lo que los fanáticos consideraron como la Tragic Band. Black Merda (pronunciado “Black Murder”) es una banda de rock americano de Detroit, Michigan, activa de mediados de los 60’s a comienzos de los 70’s y reunida en el 2005. 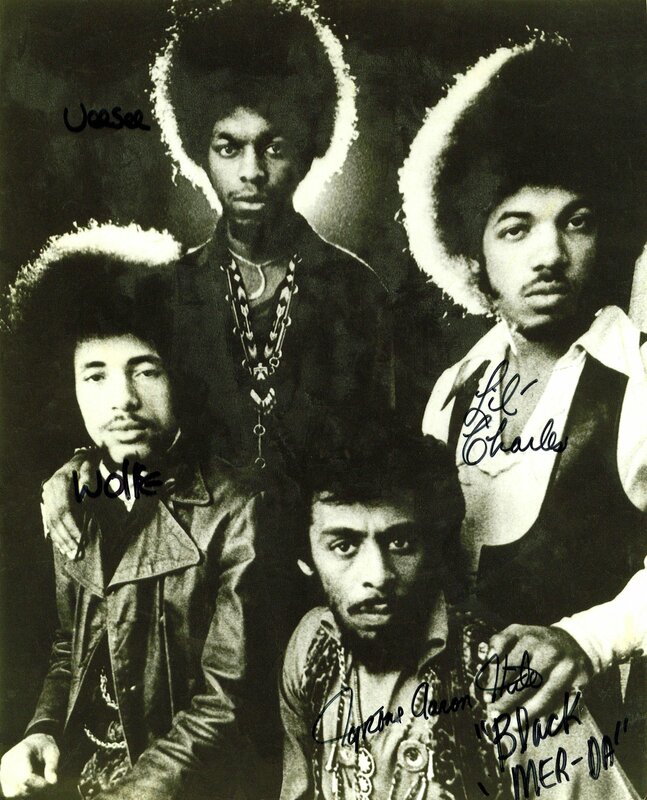 Se la considera como la primera banda de rock de musicos negros. Para todos los fanaticos, acá les dejo un demo de la Magic Band de Beefheart luego del trágico Unconditionally Guaranteed que dejaría como saldo, la partida de toda la Magic Band para iniciar un proyecto aparte. Ese proyecto acabaría por convertirse en Mallard, pero antes de eso, hubo demos. Y en esas demos tenemos como cantante ni mas ni menos que a John French (a.k.a Drumbo), el baterista de la Magic Band. After the most consistent lineup of the Magic Band left Don after Unconditionally Guaranteed, they didn’t immediately become Mallard. Several lineups with the former Magic Band members were made, including this one that retained the Magic Band name. Pictures are of the members in the recording over various years. John French: That demo was recorded in two places. The instrumentals were recorded in Bill’s “shed” house in Arcata. He had a loft bed, and the drums were underneath. That was the “drum booth.” The vocals were added in Malibu at the beach house of some famous DJ ( can’t recall which one, but it could have been Casey Kasem). Ted Alvy, as I recall, did the technical stuff using the DJ’s tape decks. I think the shower was my vocal booth! I noticed that “Hot Ice” riffs were later used on “You Know You’re a Man.” Probably, Don just used a riff of Bill’s and claimed it as his own. I know Bill would never do that. It must have been the Fall of 1974. We rapped it a couple of months later. I came back to Lancaster from Northern California on November 21. I was 26. I’ve never been much on lyrics and would have much rather played instrumental music, but I think that the music ( mostly Bill’s) really was the shining moment in that music. I had been in theater for three years when they called me to play and so had to start over with the singing. I can’t remember much about this, but will give a listen on my iPod while working and see what comes back. We recorded this music in Bill’s shed — where he was living with his girlfriend at the time. We borrowed a Teac 3340 -four-track tape recorder and begged a bunch of mics and a mixer off some friends. Bill was the main impetus of the group when I showed up. The first thing I heard was “One Day Once” and I went outside and wrote lyrics in about 10 minutes. Art Tripp was still playing drums at that point but he left shortly after — burned out from the music business. Most of the stuff was in the wrong key for me. All the stuff that says “Harkleroad, Music” was written before I arrived with the exception of “Reign Of Pain” which was a song I did with another band . Bill added the middle section. Hot Ice may have been a collaboration on the lyrics. That’s about all I know. Just don’t call it a “Mallard Demo.” It was The Magic Band then. Mallard was something they came up with after I left. Lamentablemente falleció en el día de ayer el bajista Jack Bruce, miembro de la explosiva Cream. Luego de batallar contra una larga enfermedad, falleció. Ray Manzarek – Teclado Fender Rodhes Bass, Piano, Marimba, Clavicornío en “Love Me Two Times”. Douglas Lubahn – bajo en temas 1, 2, 3, 6, 7, 8 y 9. PBS Critique’s color broadcast titled “A Profile of Jim Morrison and The Doors – On and Off Stage’. The performance was filmed on April 28th, and the Interview on April 29th. The panel discussion was later filmed on May 23rd. It is unknown wether or not more footage exists from this performance. Includes the only known complete live recording of ‘The Soft Parade’. Frank Lisciandro, who was on site photographing the show, recalled in his book that Light My Fire was performed, although recently Frank has revealed that Light My Fire was not performed on this show. Also featured is a 10 minute interview with the band by Richard Goldstein in which Jim attempts to read from ‘The Lords And New Creatures’. The panel discussion includes Richard Goldstein, Patricia Kennealy, William ‘Rosko’ Mercer from WNEW-FM, and Alfred G. Aronowitz. The show was originally broadcast on WNET – Channel 13 in New York, and re-broadcast on June 29. Early broadcasts of this performance do not include the panel discussion. A clean copy of this performance exists in The Doors archive, however it may not include the panel discussion, giving reason as to why an inferior (complete) copy was used on the Soundstage Performances DVD. 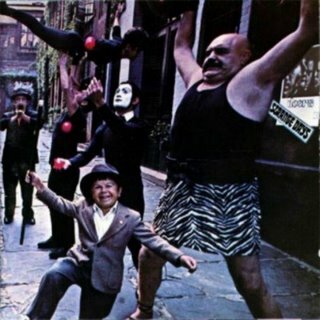 Portions of the cleaner footage were used on the The Doors Collection DVD. Banda surgida en los albores de la URSS, epocas turbulentas ya, en Georgia con una fuerte carga de funk, folk y tintes psicodelicos. Una curiosidad que les traigo para que escuchen y disfruten! Herbert Khaury, conocido en el mundo de la música como Tiny Tim caracterizado como un personaje “freak”, con un falsetto impresionante y que tocaba solamente tocaba el ukelele, muchas veces se habló acerca de su sexualidad y el día que se caso en vivo por un programa de televisión, su popularidad se vino a pique. 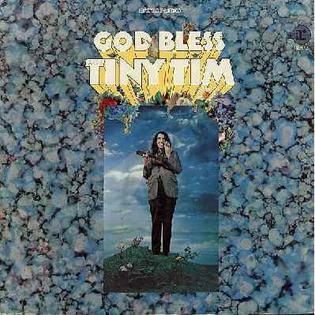 “God bless Tiny Tim” (Dios bendiga a Tiny Tim), es excentrico, fresco, con excelentes arreglos de cuerdas cortesía de Reprise Records y del productor Richard Perry. A homemade record, with 14 tracks totally instrumentals and that for moments is a conceptual album, a journey across my mind. The album have an internal photo of a paint, of Ramiro Tamayo, HOMBRE CONTEMPLANDO A LA LUNA.